Penstemons are so generous with their summer flowers and with their cutting-grown offspring. I have a number of regulars - Purple Passion, and Snowstorm, a bright tomato red variety, and a lovely soft pink. 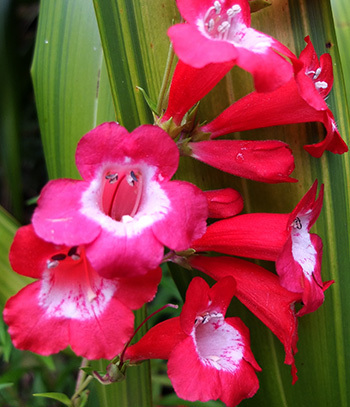 I also grow what I think is a species variety - it has smaller, cherry-red flowers and ferny foliage. I often divide old clumps up to make a new series of plants. And I always have new cutting-grown plants ready for new planting spaces. The trouble is that by early summer all my careful colour coded labels have come off. So when my new penstemons get planted they are always a mixture of colours. Lately I have been strictly disciplined in trimming off the spent flowers. To my joy the big clump of Purple Passion in the Willow Tree Garden is reflowering in late Autumn. Dead-heading definitely works - of course, I knew that! 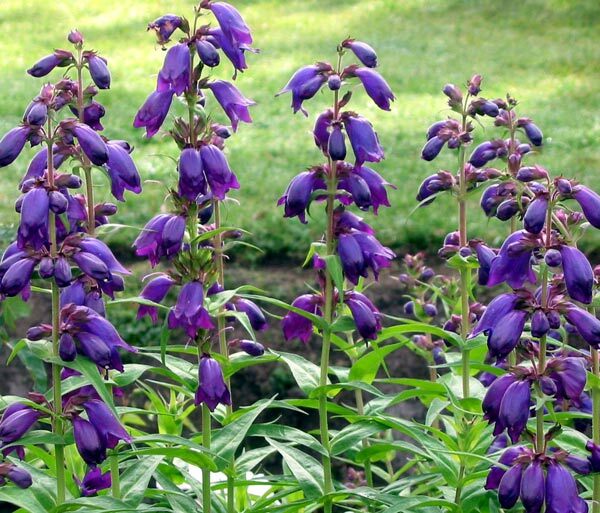 In my garden all penstemons are short lived perennials, and after three years flowering they need to be replaced. They do winter over, though, without damage. I also have tried to grow the low sprawling Penstemon Heterophyllus with smoky pastel blue flowers. It is a beautiful colour to pair with my namesake Mary Rose. 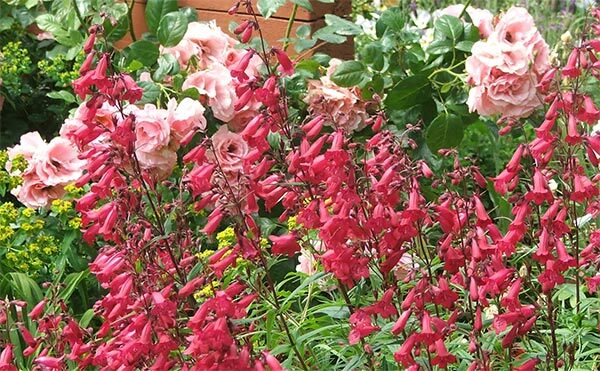 For the last three or four years this lovely perennial has been sadly absent from my garden. Oops.